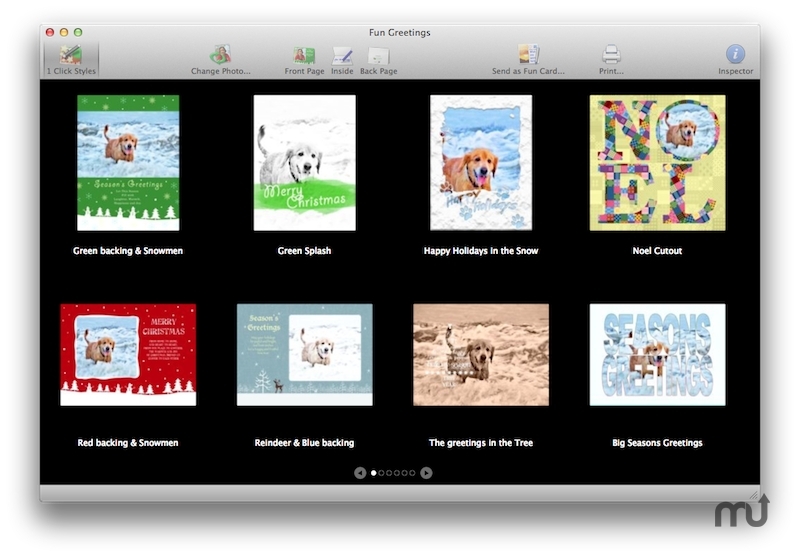 Create personalized greeting cards quickly and easily. More Apps Ohanaware Co., Ltd.
Is there a better alternative to Fun Greetings? Is Fun Greetings really the best app in Image Editing category? Will Fun Greetings work good on macOS 10.13.4? Using Fun Greetings is as simple as 1, 2, 3; really. Step 1, choose the style of your card. Step 2, add a photo. Step 3, print your card. Job done. No need to read any help documents before you begin, although we do provide a getting started guide and help if you want it. Fun Greetings' printing engine, is actually quite a clever print engine, it can compensate for printer margins (so you don't get huge gaps down one side). It can print to a variety of card sizes and has support for custom sizes. You can even print a card to fit a spare envelope that may be lying around. Fun Greetings needs a rating. Be the first to rate this app and get the discussion started! Best of all, you can try Fun Greetings today for free, to decide if Photo Greetings Cards are for you. Simply download our free trial and have Fun.